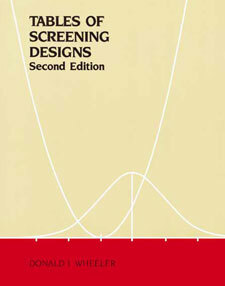 This book of tables is the most complete reference for Plackett-Burman Screening Designs available. In addition to the basic Orthogonal Arrays, it provides data collection worksheets to facilitate conducting experiments and computation worksheets to facilitate the analysis of data. Tables of Confounding Patterns help with the interpretation of the results, making it easier to discover whether significant effects are due to interactions rather than main effects. over 200 designs indexed and laid out for easy use.